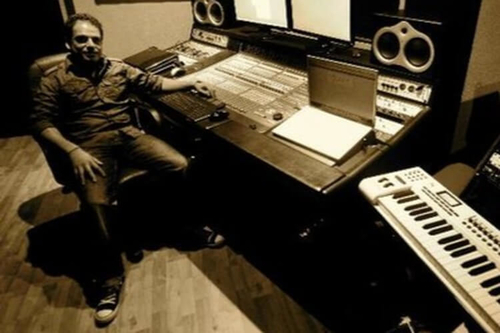 Sumeet Chopra is an innovative British Asian composer, music producer and musician who has worked extensively with globally renowned artists in Bollywood, Bhangra and World Music arenas. His compositions have been featured internationally on television networks such as BBC, Channel 4, Discovery, E4, MTV, CBS, NBC, Sky, theatre productions and films In a household of revolving musicians through his Sitar musician mother and musician uncle, Sumeet was formatively exposed to traditional improvisatory composition alongside a wide range of Bollywood, Bhangra and western music records— a cornerstone of his diverse output. His early experience came as a keyboardist, mentored by the very same uncle that introduced him to the art. From there Sumeet performed live and recorded for many of the emerging UK Bhangra artists of the late 80s and alongside touring artists from India in what was an inspirational and collaborative period, Scouted by pioneering Bhangra band Alaap during the 90s led to worldwide tours and festival slots, and the opportunity to experiment with synths and sample loops with the likeminded community of the emerging British Asian underground scene in Talvin Singh and The Dhol Foundation. By 23 Sumeet produced the world’s first Ethnic sample CD (earning him the moniker “The Groove Guru” (by AMG) which has been used extensively by producers and composers including A.R Rehman and Punjabi M.C.